Sorry, Nathan Drake, but you and your fully-tucked shirt are not the best thing I saw this week for the PlayStation 3. That honour goes to this trailer for Journey. That's not to say I'm not excited for some big-dollar, blockbuster thrills come late 2011 from the third Uncharted game, but Journey...it's pushing some buttons, buttons that haven't been pushed since Shadow of the Colossus came and went all the way back in 2005. The music, the art style, the wandering around the ruins of a people that came before you...it all looks great. And I haven't even seen the game in action yet, or know what the hell is actually going on aside from the fact the game is some kind of collaborative online experience. 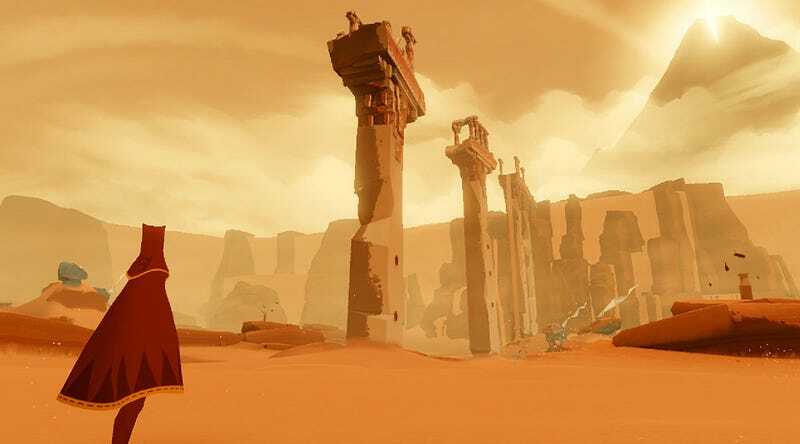 Be sure to back later for more coverage on how Journey is shaping up!